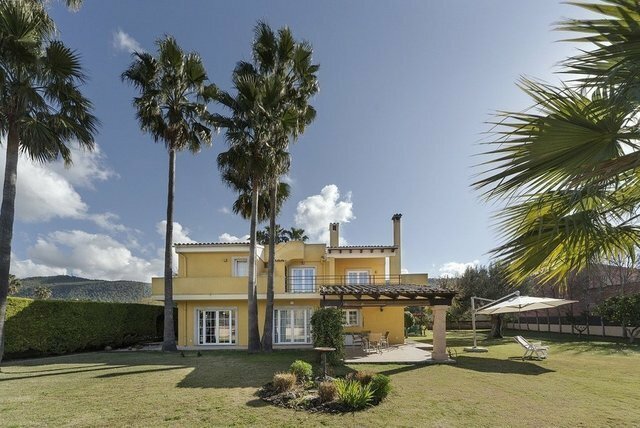 In a very central rural residential area, on a plot of about 2160m² on the edge of the harbor just a few steps from the promenade and a short distance to the village of Andratx away, is this Mallorcan country house of approximately 208 m² in an idyllic setting located. First floor: spacious sun terrace with panoramic views, master bedroom with the corresponding bathrooms and two further double bedrooms, also with en-suite bathrooms. Outside: open and closed terrace areas, a large swimming pool, a barbecue area and a beautiful garden and a garage.